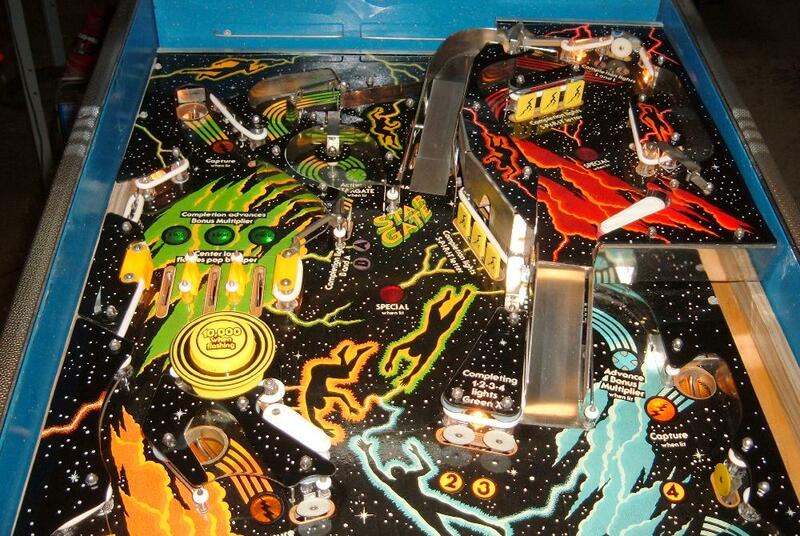 Description: Spirit, Gottlieb, 11/82, two level playfield, system80a solidstate design with seven digit score displays. No speech, uses a Haunted House style sound board (with speech chip missing.) Two and three ball multiball. 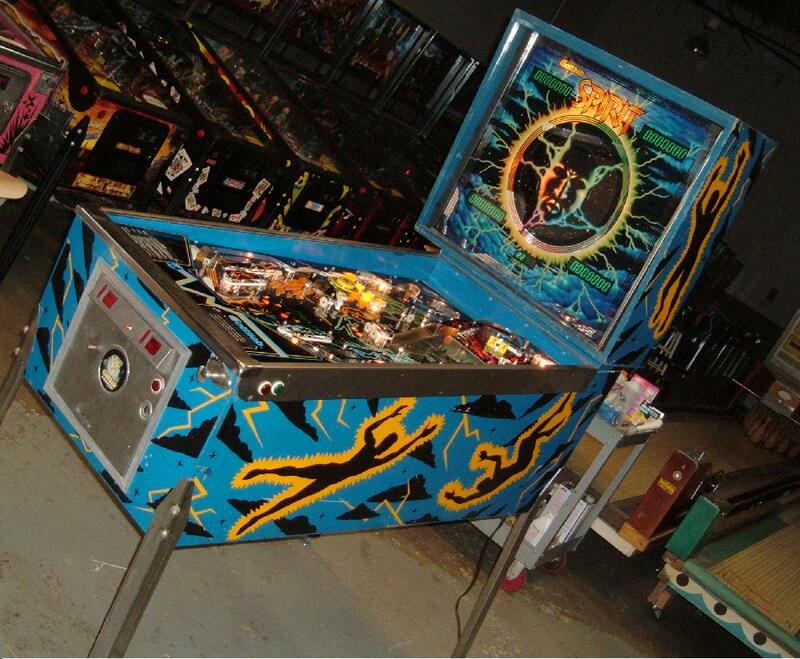 There were 1230 Gottlieb Spirit pinballs were made. Spining disc in backglass like Black Hole. 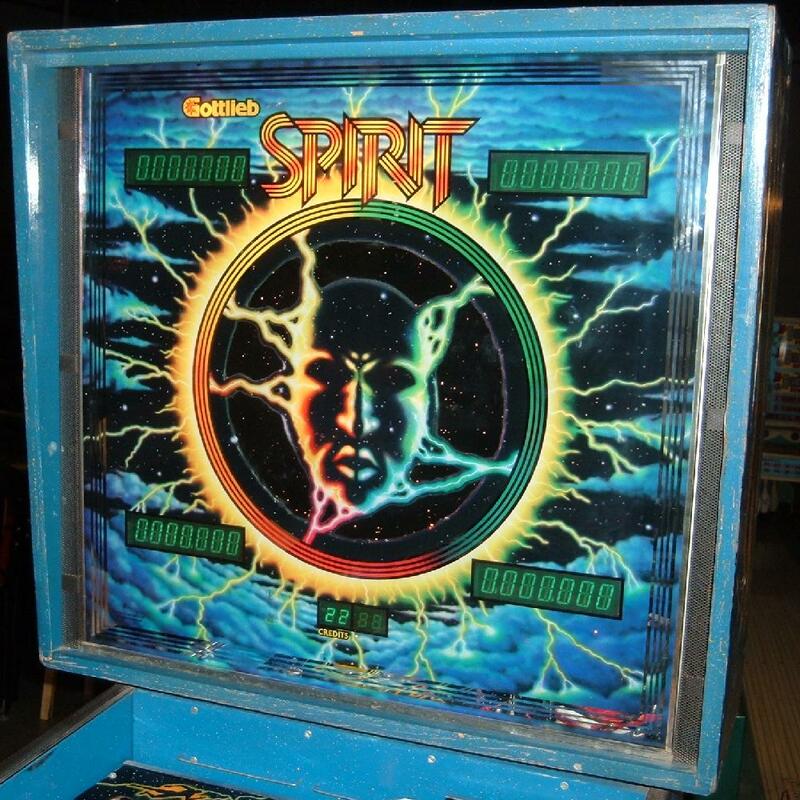 Spirit is kind of like Haunted House in many respects (as it has a Haunted House style upper playfield), but has better game play (probably because of the lack of the lower playfield and the addition of multiball.) 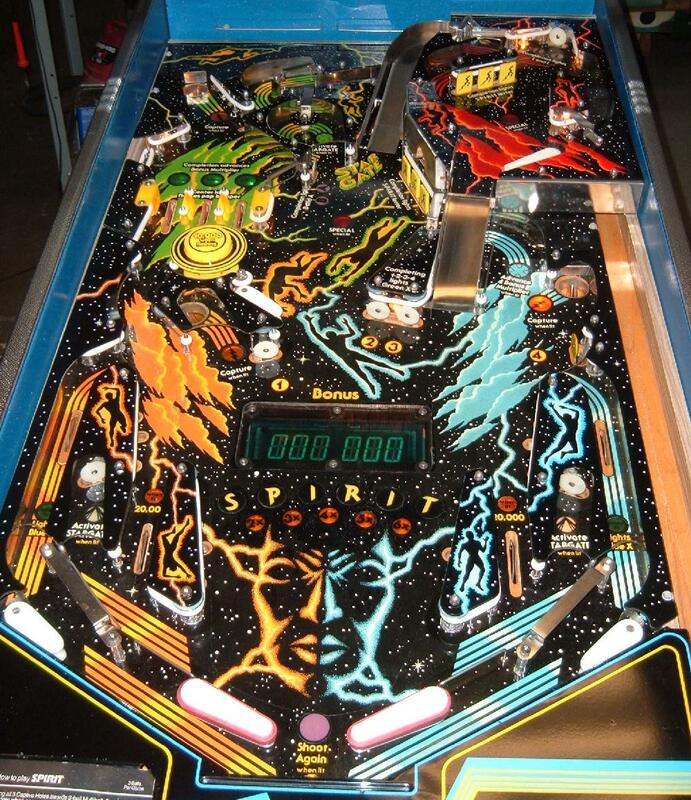 Generally considered cutting edge at the time, this system 80 Gottlieb design is problematic unless some modifications are made to increase reliability.